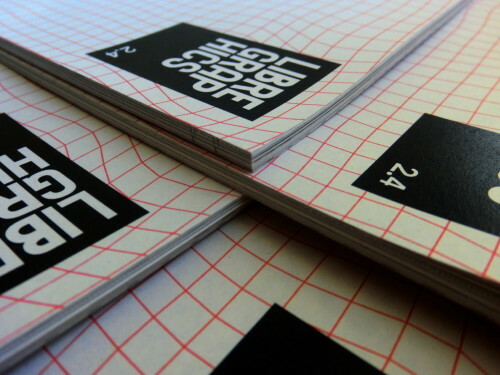 On March 9th Libre Graphics magazine announced that after six years it would stop publishing new issues. Current and past issues are still available while stocks last. 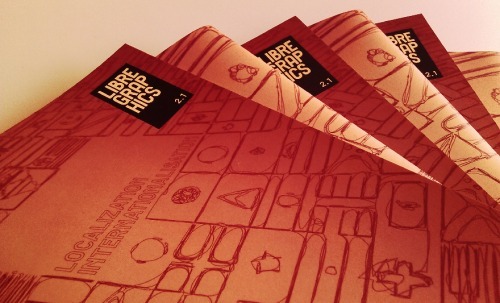 Since 2012 I wrote for Libre Graphics magazine as a regular columnist. Prior to this my illustration, What Revolution? was featured in issue 1.2. The idea for starting a publication about graphic design that is made with and about open source tools is an idea shared by many, with various people following through on the idea. In the early 2000s there was Code : Free magazine, which never saw a printed version but existed for four issues. Publications specific to a particular software also exist. BlenderArt has seen issues published since 2005 that focus on Blender. Since 2012 GIMP Magazine has existed to talk just about GIMP. The aforementioned publications offer only pdf versions and only focus on their one topic. 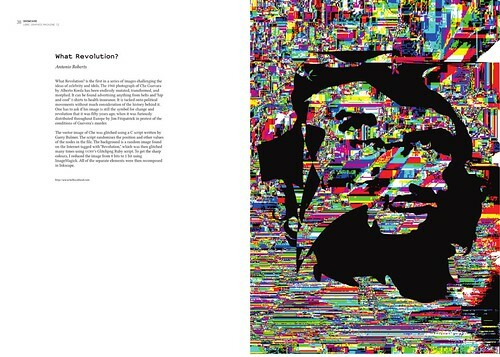 To me, what differentiated Lire Graphics Magazine from the others is that it covered not just the practical side of producing art but also the concepts and politics surround it. Plus, it had a focus on print, which has long been an apparent “show stopper” for those wanting to switch to open source software. Open source tools have long been criticised for their apparent lack of support for printing processes. “When will GIMP get CMYK?” is an often asked question and is a reason many steer clear of using these and other tools. What I learned from witnessing the production Libre Graphics magazine is that it is easily possible to produce a publication using open source tools and that the results have no differences in quality to those published, for example, using Adobe InDesign or other proprietary tools. Although it is ceasing to exist the spirit of it continues in other ways. You can still find out what is happening in the world of libre graphics via the Libre Graphics World blog and the Graphics Planet feed. Conferences such as Libre Graphics Meeting have been going strong for over 10 years. Outside of this, just engaging with the community in some way is really easy. Just using the software, adopting its processes and talking about it publicly is more than enough!